What do Flowers Have to do with Inner Beauty? If you could be a flower? Which one would you be? Do you know that flowers raise your vibration? They bring joy, love, and beauty! Vibration is your unique personal energy frequency, or energy signature. It is the state of your energy as a result of all beliefs, emotions, experiences and interactions you have accumulated. Your vibration is directly affected by both the external such as your environmental factors and lifestyle choices, as well as the internal such as your thoughts and beliefs. It is essential for you to take care of yourself on the physical, emotional, mental and spiritual levels to maintain a high vibration. 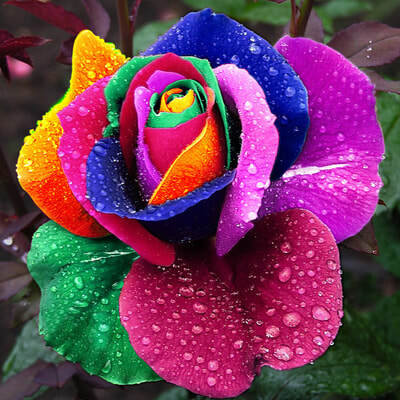 Each flower has it's own essence or energy signature, just like you do. How do you feel when you're in your divine energy flow? How do you dress when you feel in that flow? Where do you find clothes that really express your essential nature, clothes that you love, that express who you are and reflect your inner beauty? When you blossom into your soul's beauty you can change the world, one soul blossom at a time because you are in your power, your true self! Flowers open you to your femininity and sensuality. They can assist you in feeling love for yourself. Flowers are miraculous, beautiful plants that long ago awoke the plant kingdom to a higher consciousness at their first bloom. Taking flower essences and remedies can elevate your energy, heal your heart and transmit higher vibrations in your being. Flower essences can lift the spirit and restore enthusiasm for love. They can help the heart to heal, forgive, and create bonds for eternal love. Rose my favorite, can elevate and open the heart. What if you can become one with your feminine power, your strength, and gifts by wearing high vibration clothing? After interviewing many women over the last few weeks I've discovered that most find it hard to find beautiful feminine clothes that express their essence, or inner beauty. I also learned that what gets in the way of feeling beautiful for most women is critical, or negative self-talk! When we get disconnected from who we are, we forget our beauty. When our vibration is lowered, we become out of balance, and often get sick. 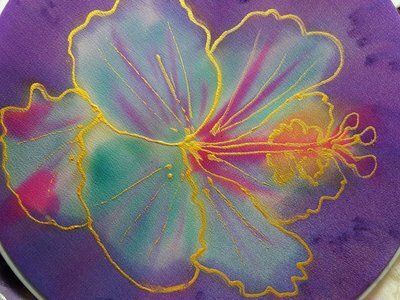 I've been told that my hand-painted silks are like a tuning fork for beauty. The silk itself is a high vibration fabric. Then I choose color combinations that create a conscious message with a high vibration, so you will feel beautiful, strong and powerful when you wear these scarves, jackets, or wraps. Do you have the courage to step out in confidence, to be your unique powerful self? You deserve to look and feel as beautiful as you truly are from the inside out. I want you to fall in love with yourself and let your inner beauty shine! If you are ready to liberate yourself and step into your most powerful feminine presence, then I have a special offer for you! Experience my NEWEST SERVICE-- Inner Beauty Design Consultation! * What colors your soul needs most right now and how to incorporate them into your wardrobe. * What styles work best on your body type that express your inner beauty, or who you truly are. * Why some of your outfits work well for you and why some don't. * How to look and feel beautiful in your clothes. We can meet in person or on Zoom in my video meeting room. Just go to my ONLINE SCHEDULE to set up your appointment. You are like a beautiful flower that blossoms in its own season. The beauty of blooming and opening with grace and ease to the delicate flower within is a miracle of magic and delight. Express the exquisite beauty that is you! How does Passion Relate to Wellness? The year of the Fire Rooster starts today in the Chinese New Year. It's also a new moon in Aquarius, the astrological sign of awakening to our global visions for humanity. It's time for new beginnings, new visions...time to Shine~ Attract~ Speak Out~ Step up~ Awaken to your Passion and Purpose, and Reveal the Masterpiece Within You...your divinely beautiful Self! The colorful rooster wakes us up in the morning with its sharp piercing call. They certainly did every morning when I lived on the Big Island of Hawaii! No sleeping in for me. I was up early to jump into the ocean for a morning swim, then into my studio to create colorful fabrics, prayer flags, and scarves on silk to empower bold women (and men) ready to shine and make the world a better place! This year the rooster symbolically calls us to wake up, speak out, show our colors, and shine! Once you are awake and aware that you are ready to step up and shine even more brightly, what's next? Knowing who you are and your life purpose, while creating a vision in alignment with these, will start you off. Part of knowing who you are is knowing what you are passionate about. Listen to what I share about what passion means and where to find it in the interview below I had with Dr. Sharon Ufberg on passion and wellness. Who ARE YOU and how can you COLORFULLY reveal the Masterpiece within YOU this year? What is your LIFE PURPOSE? Your PASSIONS? What actions will you take to live these? What COLORS will support you this year? What are you VISUALLY COMMUNICATING about who you are and what you're here to do? I am here to support you in all this juicy self-discovery, self-love, and visual communication of your inner beauty. We are stronger together! We all need support, guidance, and loving kindness. I do too! Let's join forces! January 2017 marks 30 years in business for me! It has been a wonderful journey, at times challenging, and always transformational and inspiring for my clients and me. From costume and clothing design to life design, my purpose has remained the same...to inspire beauty and creativity in others by expressing my own joy. I'll be joyfully offering you SPECIAL GIFTS each month this year to celebrate three decades as a ColorStyle Designer, Spiritual Artist, Joyful Spirit Life Coach, Master Colorist, and Creativity Mentor. So, stay tuned to take advantage of each time sensitive gift! your top five passions. I'm offering the Passion Test ($150 VALUE) AS MY GIFT TO YOU this month! Our passions change along with us so what you were passionate about last year will probably be different this year. As a NEW BONUS, we'll choose ONE COLOR that will support you in living your passions this year. You can wear it, eat it, sing it, or enjoy it in your environment, on your walls, or in your garden. Have you ever considered that Beauty is an expression, or reflection of the inner radiance of your Spirit? That they are one and the same? I feel called to honor the BEauty that is all around and within me, the inner light of my Spirit. If our Spirit's radiance were not reflected in the beauty of Nature in the many colored flowers, why would we be so captivated by them? Why would we love them so? All this and more is the flow of love and the blessings of BEauty that reflect YOUR inner radiance. I delight in creating one-of-a kind gifts of Beauty to last a life time! They are magical works of art that are truly priceless because they reflect YOUR INNER RADIANCE. Inquire about a GIFT CERTIFICATE! What can we Rely on to Never Change? it's really helpful to know that there is something you can rely on that never changes! This is what I call your inner radiance, your true beauty, your true self, or your exhaustible flow of consciousness. This is the truth that you exist and knowing the truth of who you are, no matter what! It is already within you! Truth be told, from my early twenties until I turned 40, I was what Julia Cameron, author of the Artist's Way, calls a "shadow artist." I was married to three different artists. I lived hiding in their shadows, supporting them in their artistry, but not seeing the truth that I was an artist myself! I coached hundreds of women to unleash their creativity and find their true selves. I lead workshops, retreats, and women's circles, guiding many to know themselves as powerful beautiful women. One day I realized my truth that I am an artist and I have a message to share through my art and Joyful Spirit Coaching. I came out of hiding! I became clear about my soul's purpose and my bigger WHY for my life and business. This is when I began to get to know and rely on my True Nature because I saw that this will never change! There is a blossoming that happens when you know your Divine Purpose. When you live with your purpose in your consciousness, you will attract others like you, (your soul tribe), as well as what your heart desires. Your life will change. You will know happiness and fulfillment. You will feel confident and BOLD! I became a BOLD Woman with many opportunities to live my Divine Purpose. Now until January 13th, I'm offering a DIVINE PURPOSE SESSION for a special NEW YEAR'S PRICE of $97 so YOU can start off the year grounded in your soul's purpose, step into your ALIVENESS and SHINE brightly in 2017. This is a huge savings of $150 because I am passionate about you feeling ALIVE and LIVING YOUR DIVINE PURPOSE! It is my joy to guide you to reveal your Divine Purpose-your inner radiance, brilliance, wisdom, and divine grace so you can step up to a bigger stage, come out of hiding and shine! 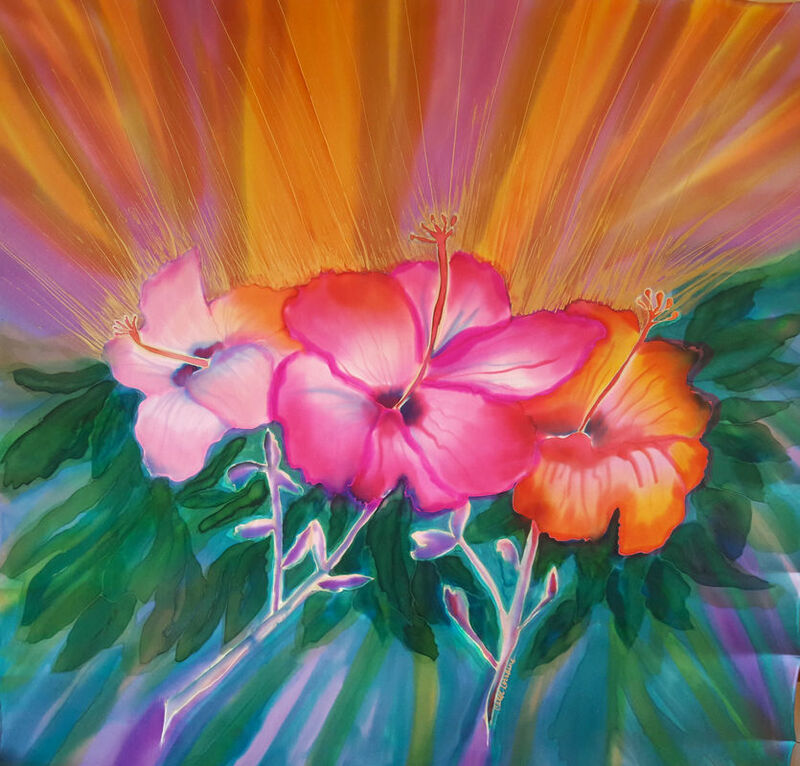 As an ADDED GIFT, I'll paint you a special 5 x 7 silk card with the colors of YOUR DIVINE PURPOSE that you can frame and use as a reminder of your purpose for years to come. EMAIL me for a phone or Skype appointment today. I am excited to help you know that you can rely on Your True Self that never changes! and feeling ALIVE in 2017! Every year I make time for personal retreat--time to rejuvenate and regroup. Sometimes it is a weekend or a day. And once a year it is for longer. 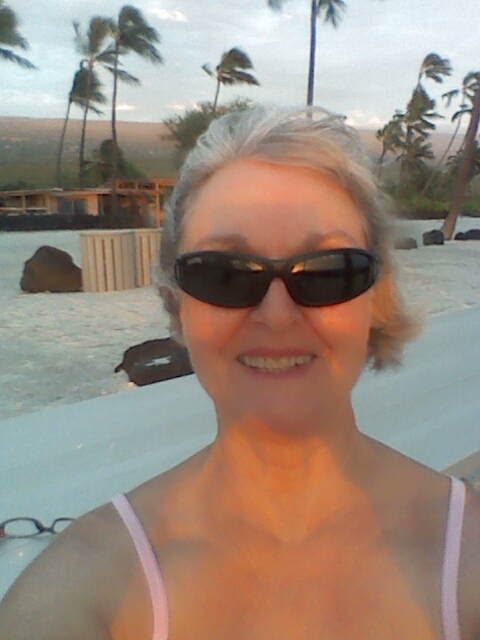 I just returned from the Big Island of Hawaii where I created a three-week house sitting opportunity so I could spend lots of time with my Self, while swimming and enjoying the beauty of the island that always inspires me. It took me many days to unplug from the busyness of my life and enjoy being alone. Reconnecting with special friends in between my quiet times was especially fulfilling. This year has offered me several big challenges! Believe me when I tell you that I wouldn't be in the abundant place I am now if I hadn't committed to my daily spiritual practice. I am still in process with the changes, and I KNOW that by living from the Masterpiece within, my CREATIVE BRILLIANCE, that I have grown, and will to continue to grow and shine even more brightly. I trust that all this and more is already mine. Best of all--"SOULUTIONS" have shown up that I wouldn't have thought up without my CREATIVE BRILLIANCE! What is the Masterpiece within you and how will revealing it change your life? What is your biggest challenge these days? Is it with relationships, prosperity, health, time, creativity, self-esteem, communication, or something different? Whatever it is, when you experience the Masterpiece within you, you will know, feel, and embody your Authentic True Self, your CREATIVE BRILLIANCE. When you do this, you will know exactly what is true for you. Your false beliefs and limiting thoughts will no longer control you and you can live the life you were born to live-one of JOY, FREEDOM, HAPPINESS, LOVE, and ABUNDANCE! The Masterpiece within you, your CREATIVE BRILLIANCE, is your inner BEAUTY, your divine Self, your consciousness, the divine substance of the Universe. You already have it within you; that's why revealing it is like creating a beautiful sculpture. Like the master sculptor, Michelangelo, you can chip away at the layers of hard outer stone, to reveal the beautiful form already within that is your Creative Brilliance. Then SHINE ON with SUCCESS! When you reveal this CREATIVE BRILLIANCE within you, you will find soulutions to projects and challenges to be effortless and easy. You will feel in the flow of life with joy, freedom, and prosperity! Steps for Successfully Revealing the Masterpiece within You--your CREATIVE BRILLIANCE! 1. I like to start my practice by reading something inspirational. I've shared some resources below. 2. Every morning and evening I do a grounding exercise that connects me to the earth below and to the divine energies above, where they meet in my heart. I call all my energy back and release all limiting beliefs, thoughts, negativity, fears, etc. Then I fill the space with things like courage, strength, love, joy, prosperity consciousness. I envision these filling up my whole body. Then I envision a beautiful color surrounding me, with an outer layer of cobalt blue light for protection. Then I sit quietly, feeling into the beautiful peacefulness within my heart. 3. In this quiet silence I listen for Spirit to whisper to me. I focus on the present moment and opening my heart to allow all the goodness in. 4. Then I turn to my Soul Writing for 15-20 minutes. This is when I dialogue with my Soul, asking for guidance. It is different from journaling because I am asking open-ended questions of my inner self. I write as fast as I can without worrying about punctuation or grammar and write down whatever comes to me. This is very private, confidential writing that I keep to myself. I often look back and read it, happy and grateful for the wisdom and guidance I've received. I'll put notes for my business in another notebook and those for my personal life I highlight. See resource below for the book I used to learn this. I also teach this to groups and individuals. 5. I read my written affirmations (in the present tense) out loud. Give thanks and close my practice. This usually takes about 30-40 minutes. This is time I consider sacred and an important practice that keeps me in the flow of my life with soulutions unfolding effortlessly and often ideas I wouldn't have thought of with my little ego mind, so often interrupted by my inner critic, who can be so loud! It's helpful to choose the same time every day to do the practice. You can add any of your own touches, like lighting a candle, essential oils, chanting, or sound. If you want support creating your CREATIVE BRILLIANCE practice, I am available through group and individual work to help you. Just email or call me 707-251-5570 and we can set up an appointment to discuss your needs! It is my purpose to be of service in this way to all who are ready to SHINE with CREATIVE BRILLIANT SUCCESS! Supportive friends, family, and colleagues have also blessed me during these challenging times and are a big part of my success. I am grateful for these awesome, generous, and highly conscious people in my life! I hope you have a success team in your life! If not, contact me and let's get you started on creating one! What Dream Do you Dare to Awaken? On the day that we celebrate Martin Luther King Jr., what dream do you dare to awaken? One thing I know for sure~~You are meant to live a great life! A GREAT LIFE starts with a GREAT DREAM! At our first Women's Joyful Living Vision Circle in 2016 we'll Dare to Dream! Do you know how to make that daring dream come true? Make it visual. Your imagination creates your reality. Your subconscious thinks in pictures. So does your Soul. The more visual you can make your dreams, the easier it is for your mind to understand it. 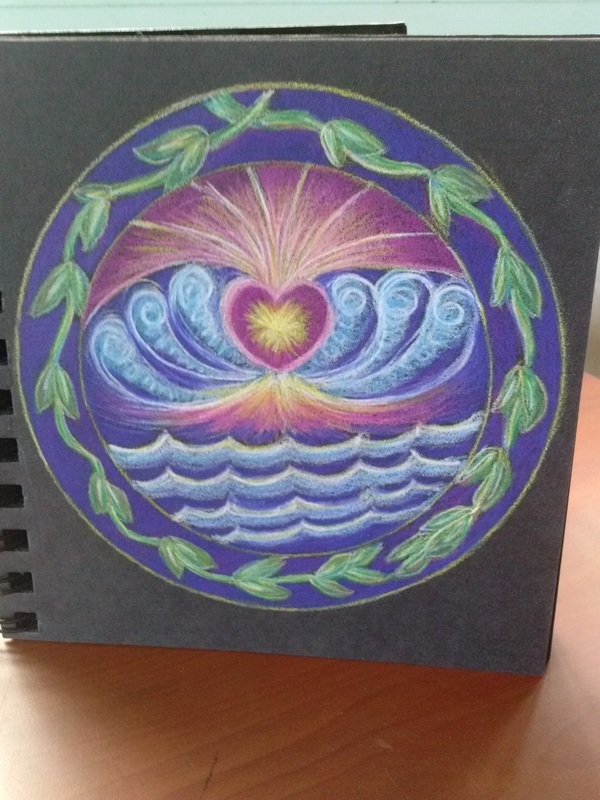 I've designed a process to create a "Divine Vision Mandala." (A circular collage that represents wholeness, and reflects the dreams of your True Inner Nature. My clients and I have looked back on our Vision Mandalas months and years later to see that we have created exactly what we put on our collages. Write a "Divine Vision Statement." Get very clear with what it is you want to create and who you want to be. Use words as if it is happening now, in the present, such as I am or I have. Get specific and put your by when dates for your dream on your calendar. Envision a dream that stretches you but is attainable. Read these out loud daily to create that mental imprint. Celebrate your achievements! Don't forget to acknowledge yourself! It's the small accomplishments that lead to the big ones. Share your successes in a group or community. Celebrate each other. Use all your senses! Feel, see, hear, taste, touch, and smell your dream! Take a moment every day to picture what it will look and feel like once you are living your dream. The more vivid you can make the experience the more you are training your mind to make it happen. Write out your own Daring Dream. Imagine tuning into your life a year or two from now only to find your Future Self sharing your remarkable success story. What would she say? In this fun exercise take a moment to write your own Daring Dream. Remember to include the big why of your Daring Dream. I am so excited for what's in store for you this year! The clearer you get with what you want, the easier it will be to awaken it, live it, and feel the JOY and FULFILLMENT of Living YOUR DREAM! This season we celebrate the LIGHT~~Within each of us as well as the return of the LIGHT as the days begin to lengthen on the Winter Solstice, December 21st. One of my favorite prayers is from The Book of Runes. The Rune Sowelu, is a rune of great power representing Wholeness~~Life Forces~~The Sun's Energy. "It marks a time for recharging and regeneration right down to the cellular level...letting the light into a part of your life that has been secret, shut away." While saying this prayer, known also as the Gayatri, gaze at my LIGHT Mandala and visualize the sun's golden rays streaming forth into the world, shining into your heart and out into the world. So that it too can do your work." Wishing you a season filled with the sacred gift of LIGHT--given and received! Blessings & Love Radiate from my Heart-Light to Yours! As Thanksgiving approaches I want to say how thankful I am for you and our Alive with Creating Community. It's been a year of being in action; getting out into the community while creating community throughcreative expression, art, and spiritual connection! The last couple of months I've taken some time to reflect on 2015. It's been an amazing experience to acknowledge and celebrate all I've created, along with the challenges I've experienced, the people I've met, the relationships old and new, the fun, the joy, the transformation. It's been a celebration of who I have been in 2015. How about you? Have you stopped to celebrate you and your accomplishments this year? It's a wonderful way to deepen your sense of gratitude and abundance andlove yourself now! 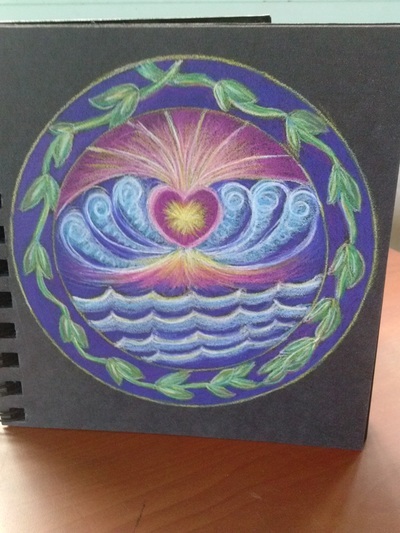 I'll be offering an opportunity for YOU to make your 2016 Divine Vision Mandala and do some CELEBRATING of you! SAVE THE DATE! Saturday, JANUARY 30, 2016. If you haven't made some time for quiet reflection, now is a great time. As nature slows down, so can you! You can do this for your work life and/or your personal life. Write down what you have accomplished, your challenges, and what you are grateful for in 2015. Notice which things came EASILY. Which felt HARD? Which were FUN? Which brought you JOY? Which were most PROFITABLE? Make up your own headings. Put them into columns under each heading and see if you can find a pattern. What did you invest in~Your time, money, and energy? What was the outcome? You can even give them a "score" from 1-10. Then notice which you rated the highest and why. If you didn't have a theme to start the year, make one up now that captures the feeling of 2015. Look at your Vision Board or Mandala for a reminder. Let me know what you discovered and I will share it with our readers with your permission. Or share and celebrate with a friend. Above all celebrate You! Here are some of my Reflections on my business in 2015. I'm excited to open my Gratitude Jars that we made at our Client Appreciation Party a year ago. I can't wait to read through all the gratitude notes I've written & stashed in my jar. For Alive with Creating, it's been an abundant year birthing my new Women's Divine Vision Circles throughout the Bay Area and continuing our monthly Playshops here in Napa. Carol Lorraine Designs have been seen, admired, and sold in numerous shows and expanded into stores in the Napa Valley and in the Pacific Northwest too. Our new collaborative book, Simply Color for Everyday Living, was born and enthusiastically received. It flies off the table wherever I go! Sharing my message through speaking and art about inspired creativity and beautyalways brings me joy. Laurie Marshall and I created a Singing Tree for Arts in April in the Napa Valley. So many new heart-centered colleagues have come into my life. I've loveddeepening connections with many of you. Joyful Living Spirit Coaching, Soul Readings, and Soul Silks have supported many women transform their lives and Reveal the Masterpiece Within! Immerse yourself in your colorful creative spirit this Thanksgiving and BE Alive with Creating while Celebrating Who You Are Now! 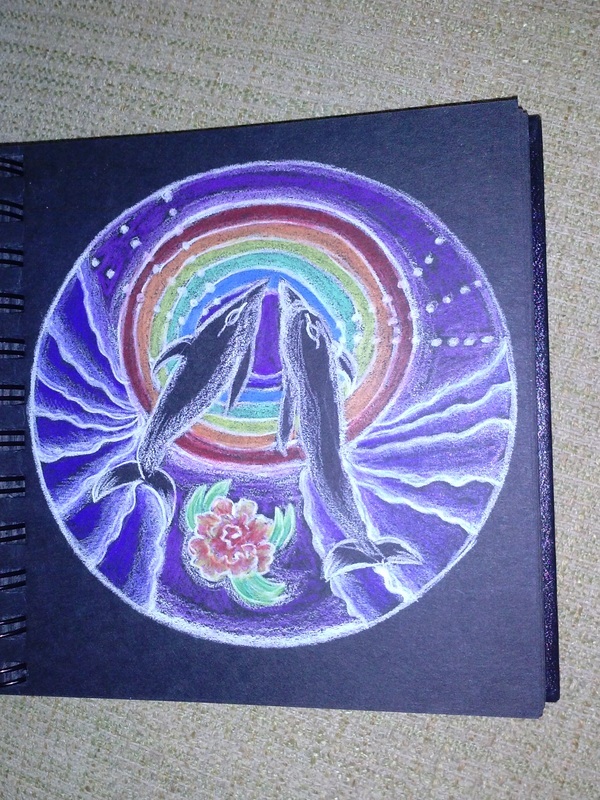 I am here to inspire beauty and creativity in others by expressing my own joy! Growing a Life You Love is like Growing a Plant! There has never been another you. You are one of a kind. This is your life, your one and only life. Enjoy growing it! Harmony is a state of being, an awareness--when you feel peaceful, calm, and present. You are relaxed and have clarity about your life, open to love and joy; acting with kindness and compassion. When your heart is at peace you are in harmony. When you listen to and follow your heart's desires, your heart is at peace, you feel centered and clear, and on your right path--in your relationships, your work, with yourself, and the world. You feel happy! When your heart is at peace you feel at home within yourself. Remember the quote "Home is where the heart is?" No matter where you live, what your work, or who you are in relationship with, you feel at home when your heart is at peace and in harmony. Like musicians in an orchestra, or members of a winning team or business, or colors in a rainbow, you can create harmony and peace in your heart. How do you find your peaceful and harmonious state of being? TRY THIS! Weed out what isn’t creating peace and harmony. Get very quiet. Take 3 deep breaths. Ask your soul, your higher self, your intuition...What is one distraction that keeps me from following my heart’s desire and feeling peaceful? Then commit and choose to do without it—just for a week! This can be a habit or behavior that you'd like to change. Here are some examples: watching too much TV, too much time on social media or emails, reading the newspaper, reading magazines, watching the news, eating junk food or too many sweets, buying coffee drinks etc... You know what your distractions and habits are! Then choose an empowering habit for the week. If a week feels too long. Try it for one day at a time. Whatever feels easy and you know you can do successfully. Then notice how you feel and journal about it each day. This will create AWARENESS, the first step to finding peace and harmony! Ask..."What is it costing me to be out of harmony and peace with my heart?" "What do I need to believe about myself?" " What do I want?" Focus on your answers for the week! Make a commitment to yourself, then find the support you need, and act as if what you are feeling peaceful and harmonious. Imagine yourself feeling peaceful and harmonious. FEEL PEACEFUL and HARMONIOUS! Keep on with this for 30 days! It takes time to change your habits or "weed them out of your garden" and to grow deep roots that will last for the rest of your life. And then go for another 30 days. Let us know how it goes for you. Leave a comment below! Have fun! Email me if you want support! I am here for you and want you to feel inner peace and harmony within your heart! How Do You Nurture Your Vision into Reality? Tune into Your Heart's Desires + Your Intuition through your inner eyes and ears to get a picture of Your Soul's Life or project that you'll love-full of meaning, fulfillment, purpose, and JOY! "The purpose of visioning is not simply about the narrow confines of personal fulfillment; it is an expansion of consciousness into the realization of your true self." Research, explore, discover and uncover more about your vision and how to make it happen. As you are getting clear about your idea, it's time to begin to plan-t your seed...intentionally and really-get a seed or a bulb and ground it! Put it in the ground or in a pot! Get your hands in the soil and make a ritual out of it. Play, be curious, spontaneous, and have FUN~without trying to be perfect or over planning. Allow for the unexpected, "luck," coincidences, or other peoples' ideas. A plan is like a trellis for the vine. It is vital when you are beginning to grow something. It gets you going and gives support. Allow it to grow with support. It's time to align your heart's desire with your head (make a plan). Without a plan, you plan to fail, so it's time to start researching your idea and gathering resources to make your plan-what are you going to need to manifest your idea.? Where can you look for more information? Who can you ask? People, resources, timeline, wants, needs, desires-write them all down as you think of them. Give yourself a few minutes every day or set a time each week to brainstorm. Continue to ask and to visualize every day and journal about what you hear , see, sense, and feel. JOIN ME to Create Your Heart's Desire--Grow a Life You Love! September 22-November 3, 2015 6-7:30 p.m.
EMAIL ME for the conference call number. Last week I heard so many of my clients and others say that they felt overwhelmed. I decided it would be a good blog subject. I did a little research on the definition…Overwhelm means TOO MUCH! Overwhelm means to give a person too much of something; to completely overcome or take over, become engulfed; submerged. If someone is overwhelmed by an emotion, they feel it so strongly that they can’t think clearly. Too much to do-- too little time to do it--too many people making demands upon your time. Since overwhelm entails feeling too much, life usually feels difficult or like a struggle! Stay open to the Possibilities, Keep your Energy High, and your Thoughts Positive! You overwhelm yourself by over committing. Think about what you can release from your schedule to make time for the extra requests that arise. If you have no choice but to take on extra demands, learn how to delegate anything that will distract you from your most important tasks or intentions. 2. Let go of Negative Thoughts—Think Positively! Your thoughts can’t hold any power over you if you don’t let yourself own them or ‘be’ them. If you notice yourself having a negative thought, detach from it, witness it, and accept that that’s the way you feel. That negative thought has no power over you, and you don’t have to continue to feel that way. Choose to let it go and choose to have a better feeling thought. It’s much easier to be positive when you are eating well, exercising, and getting enough rest. Become an earlier riser. Even if you don’t consider yourself a morning person, get up a bit earlier every day (10-15 minutes) and make a point of doing something good for yourself. Research shows that it takes 21-28 days of repetition to form a habit, so it will only take 3-4 weeks for you to become an earlier riser doing good things for yourself. Stresses and challenges don’t seem quite as bad when you are constantly reminding yourself of the things that are right in life. Taking just 60 seconds a day to stop and appreciate the good things will make a huge difference. One idea that a lot of ultra successful people do is start a gratitude journal and they write in it every day – at least 5 things they’re grateful for. If you decide to do this, do it faithfully for 21-28 days – and then, the next time you feel down, take 15 minutes and read through it. I dare you to still feel overwhelmed after reading it.